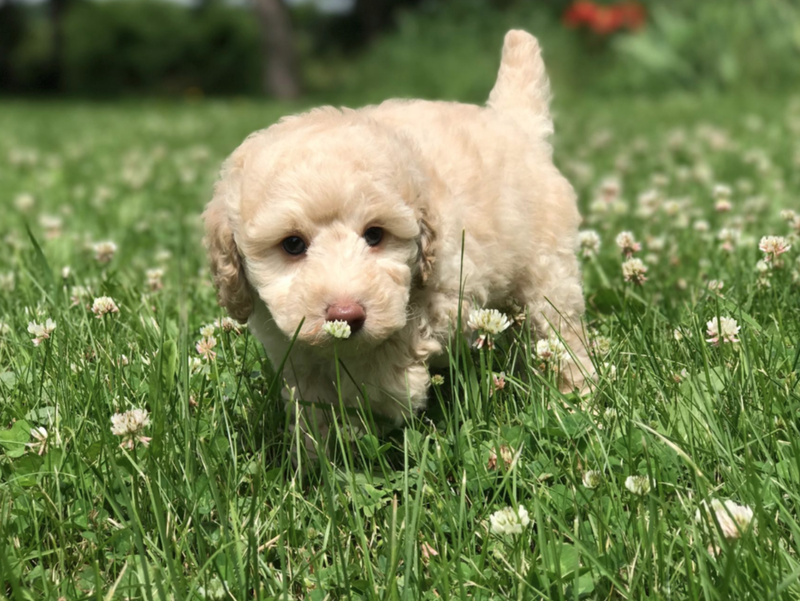 Will a Puppy Get Along with My Cat? Intelligent. Proud. Lively. 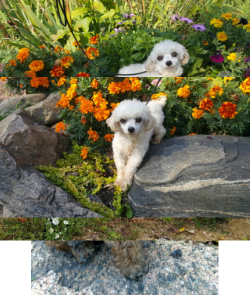 These are just a few words to describe a poodle. 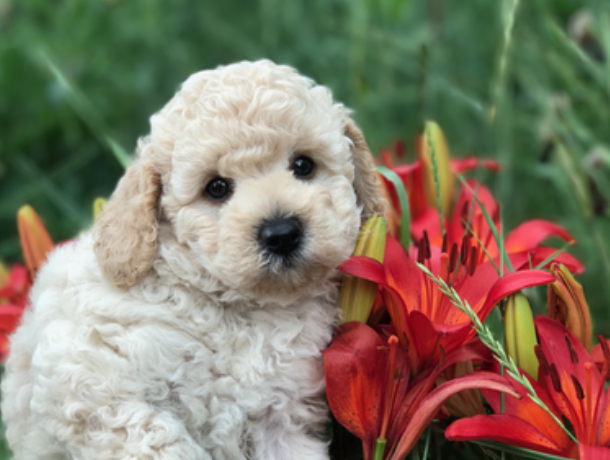 Poodles are great companion dogs and admire their owners. Due to their playful personality they do well with young children and families. 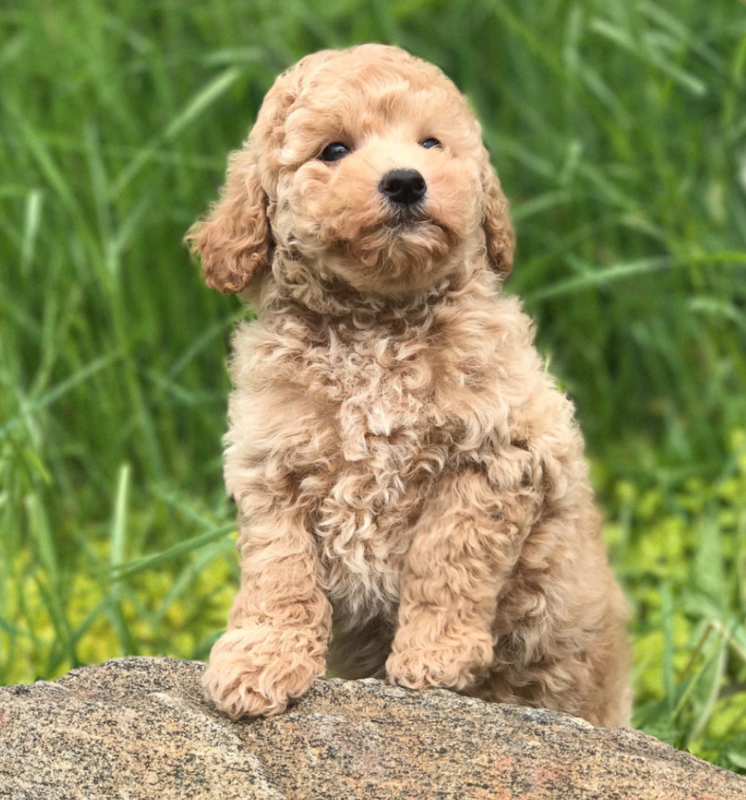 Originally bred for water retrieval and hunting, poodles are easily trained and excel in obedience and agility. They're currently the 2nd smartest breed, out of 190 recognized today by AKC. This breed is also allergy-free. What could possibly be any better? Price does not include MN sales tax of 7.375%. Bandit was born on January 5th and is of age to go to his new home. At 11 weeks of age when these pictures were taken on March 23rd, he weighed 4 lbs 3 oz. We expect Bandit to be around 11- 14 lbs full grown. Bandit is mostly black in color, although he does have some reddish and chocolate markings coming through. We expect that he'll continue to lighten as he ages.He has very sweet round eyes and a gentle temperament. Harley was born on January 1st and is now of age to go to his new home. At 12 weeks of age when these pictures were taken on March 23rd, he weighed 6 lbs 2 oz. We expect that Harley will be around 15- 18 lbs full grown. 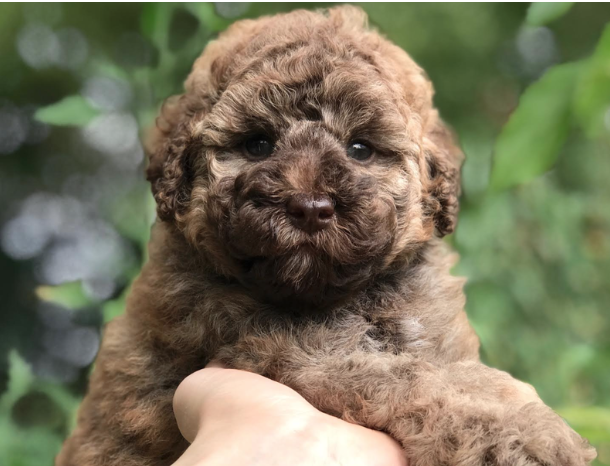 He's dark chocolate in color with tan phantom markings coming in. He has amazing gold colored eyes. Harley is super outgoing and has a fun and spunky personality. He adores children and playing with toys! 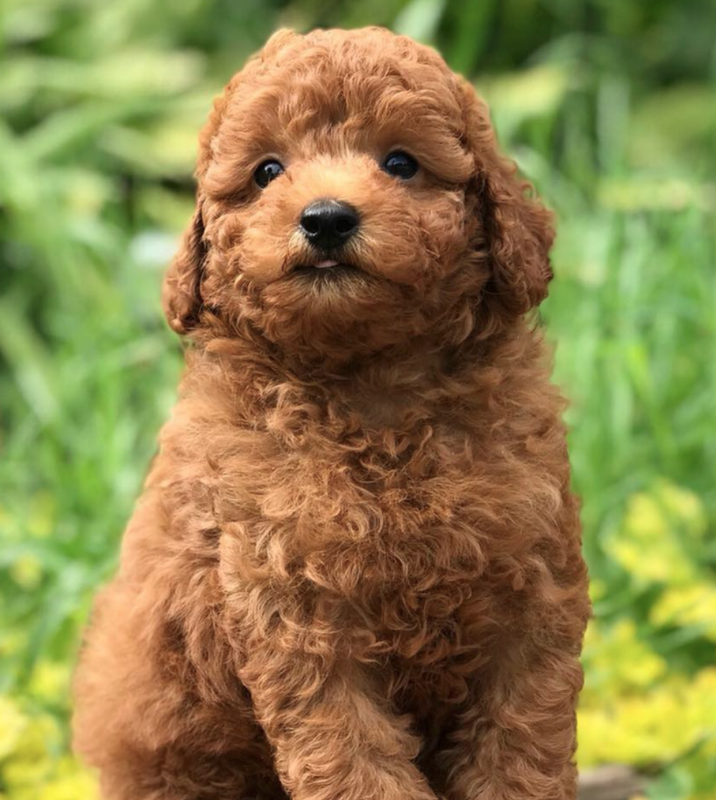 Copper was born on March 15th and will be able to go to his new home around May 10th. At about 5 weeks of age when these pictures were taken on April 17th, he weighed 1 lb 12 oz. We expect Copper to be around 10.5- 12.5 lbs full grown. Copper is medium red in color. Microchip: He will be chipped around 5 weeks of age. 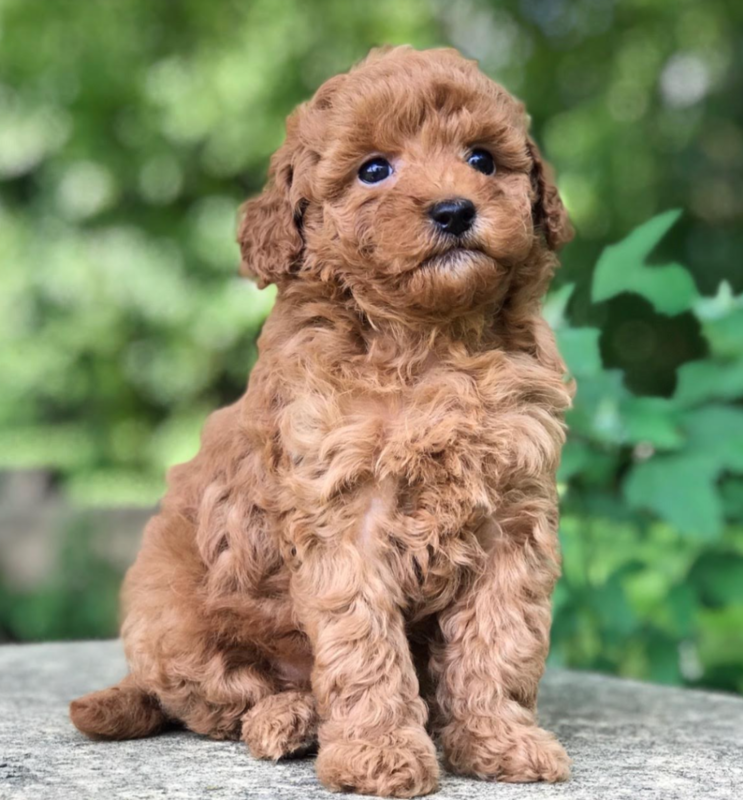 Mom: Aria II, 9 lb red small miniature poodle. 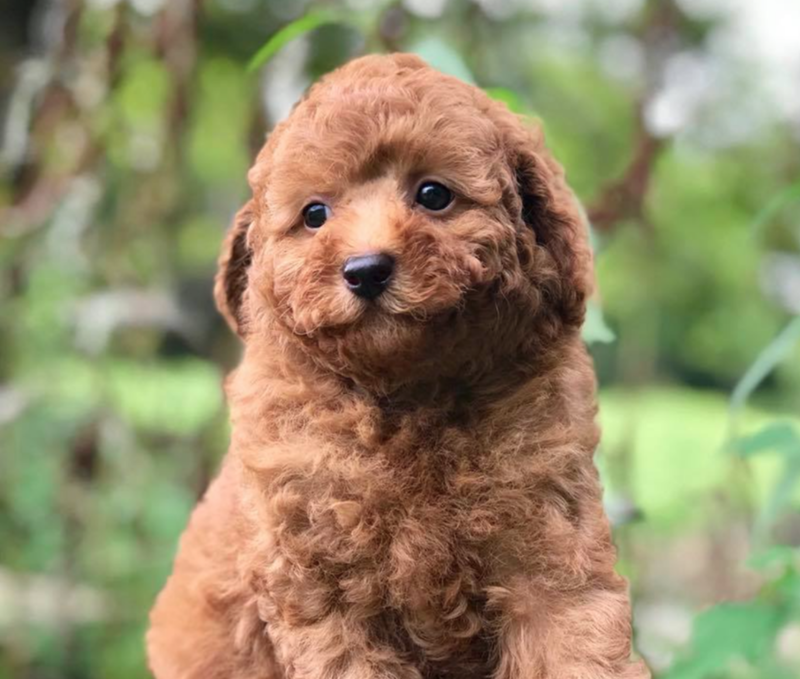 Dad: Charles II, 12 lb dark red small miniature poodle. 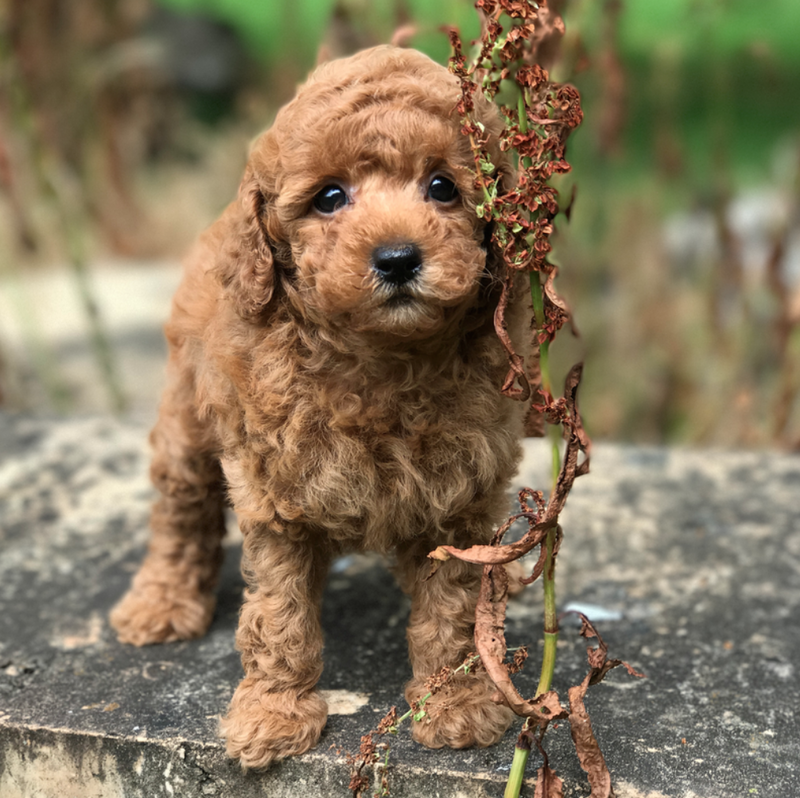 Red was born on March 15th and will be able to go to his new home around May 10th. At about 5 weeks of age when these pictures were taken on April 17th, he weighed 1 lb 11 oz. We expect Red to be around 10- 12 lbs full grown. Red is light to medium red in color. 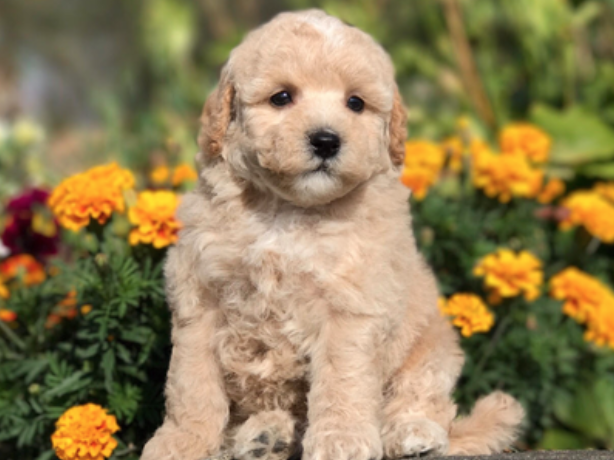 Murphy was born on March 17th and will be able to go to his new home around May 12th. At 3.5 weeks of age when these pictures were taken on April 10th, he weighed 1 lb 3.6 oz. At this age, Murphy's charting to be around 6.5 lbs full grown. Murphy is dark chocolate in color. 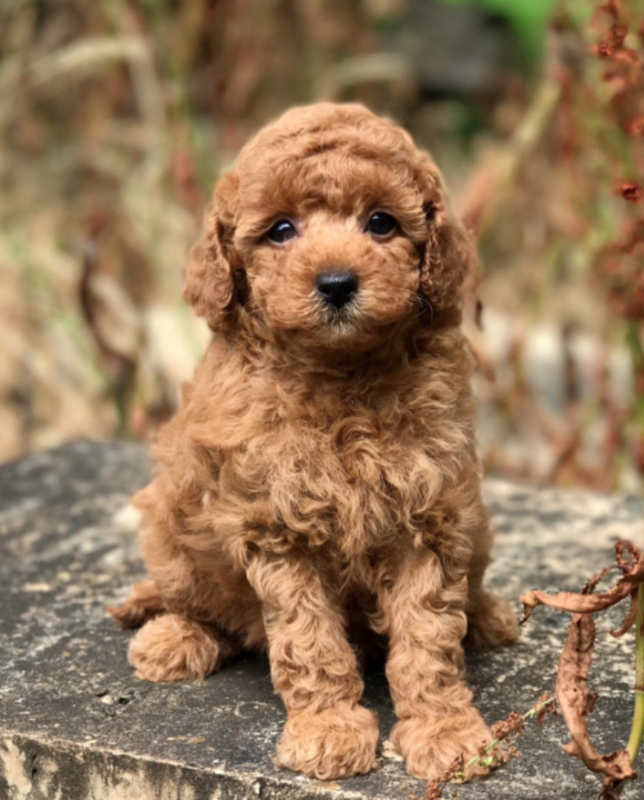 The puppies will likely be inbetween a toy poodle/ very small miniature. For this reason, Luciana's puppies have been posted under both categories. Microchip: Murphy will be microchipped around 5.5 weeks of age. 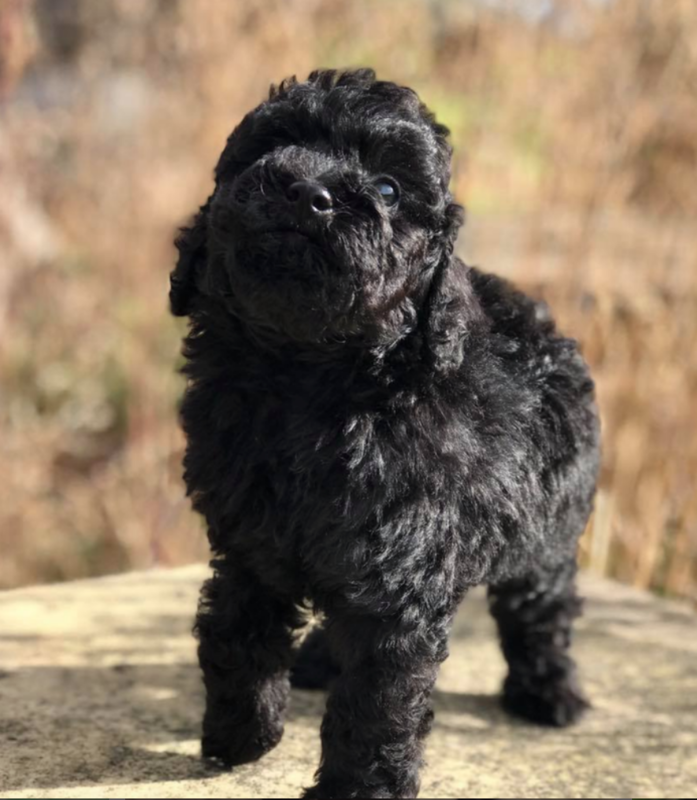 Mom: Luciana, 8 lb chocolate very small miniature poodle. 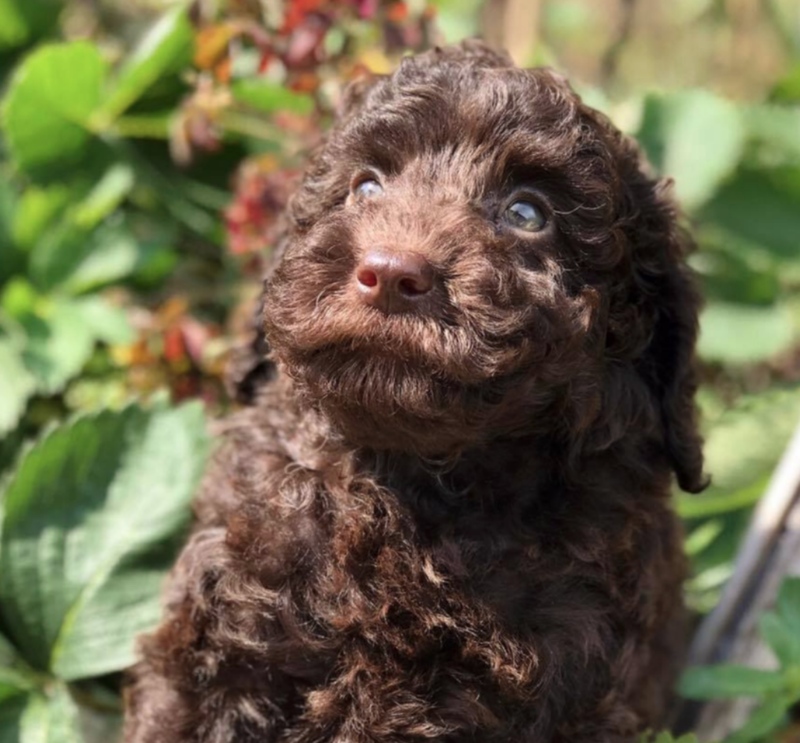 Dad: Little Hero, 6.5 lb chocolate toy poodle. 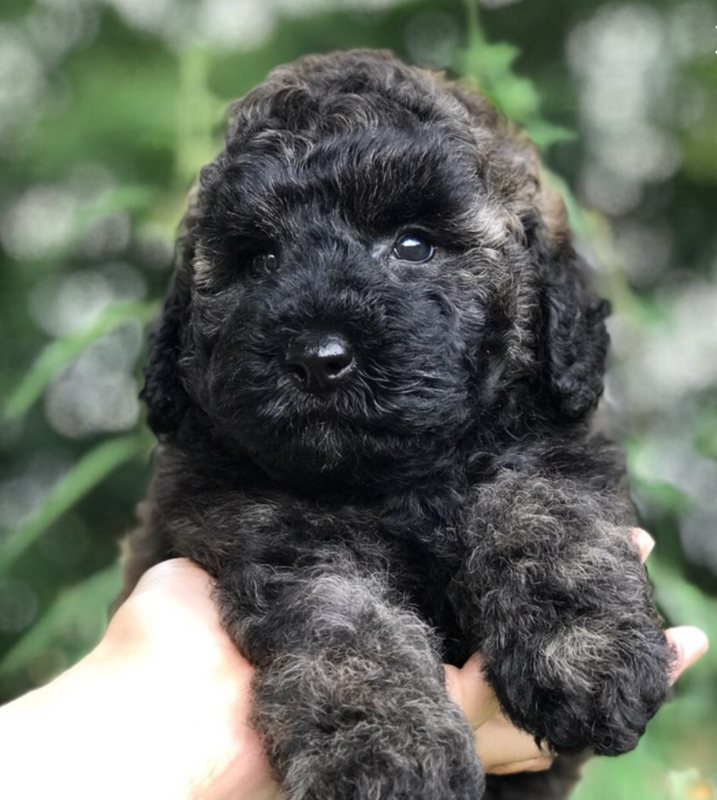 Teddy was born on March 17th and will be able to go to his new home around May 12th. At 3.5 weeks of age when these pictures were taken on April 10th, he weighed 1 lb 4.2 oz. 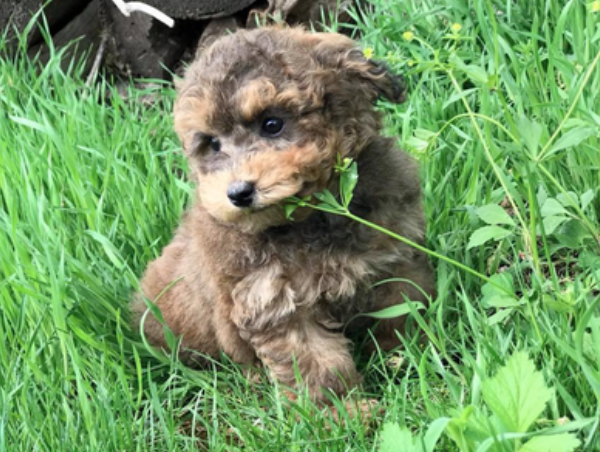 At this age, Teddy's charting to be around 6.5 lbs full grown. Teddy is dark chocolate in color. 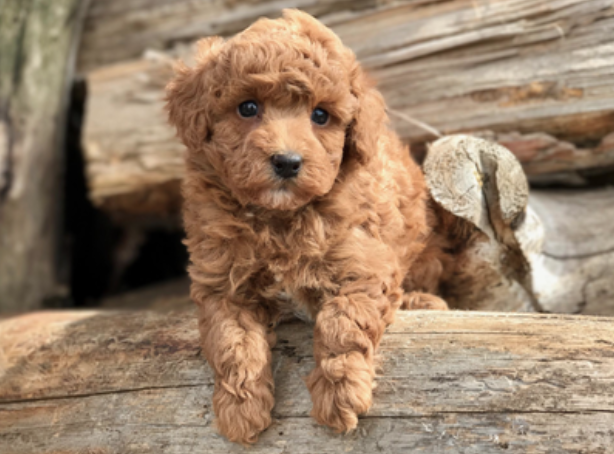 The puppies will likely be in between a toy poodle/ very small miniature. For this reason, Luciana's puppies have been posted under both categories. 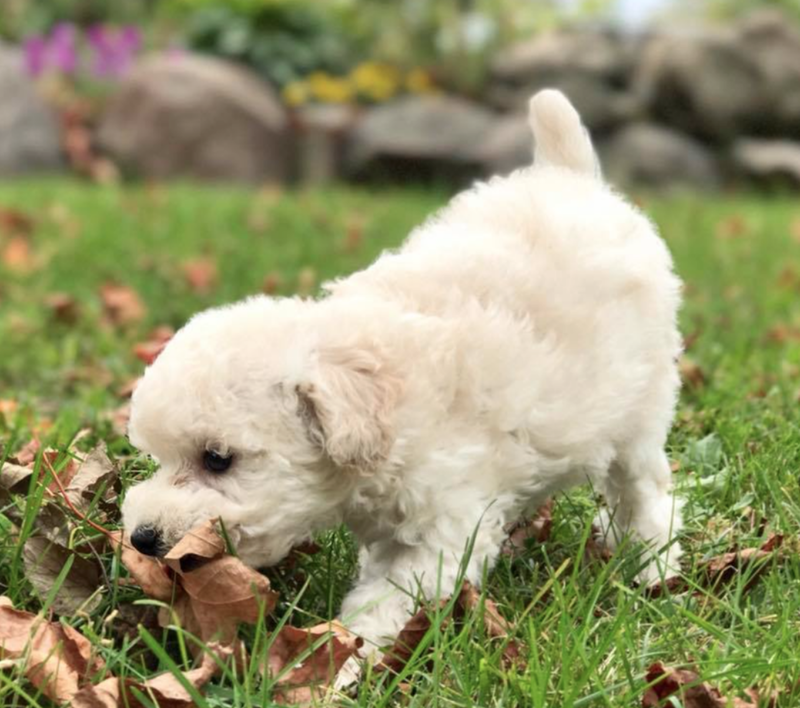 Microchip: Teddy will be microchipped around 5.5 weeks of age.